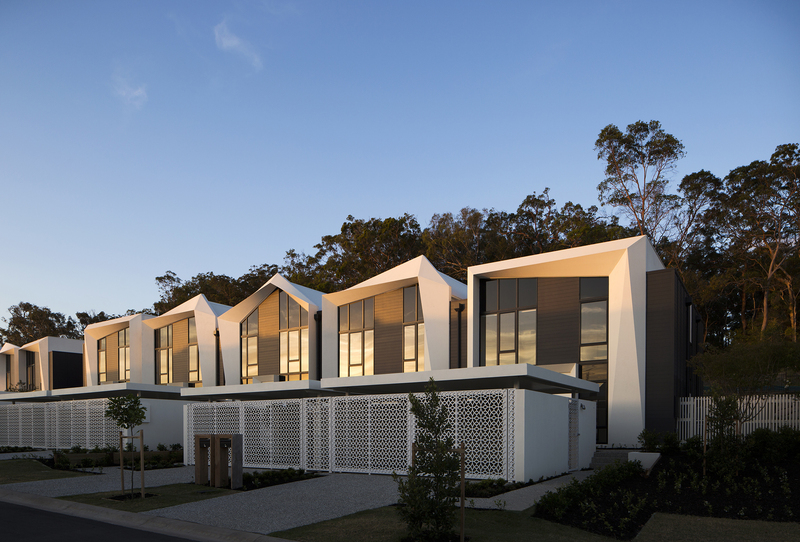 Troy and Jenni McNeish have taken over the reins of Sunland Group’s 233-townhouse luxury residential community, The Pavilions at Peregian Springs. The husband and wife management team recently relocated their family to the Sunshine Coast from Terrigal on the New South Wales Central Coast, after inking a deal with the master developer to run the luxury estate, which was built for $80 million and launched in 2015. @realty agent Kristine Lehmann, who specialises in management rights and off-the-plan deals, brokered the deal between Sunland Group and the McNeishs. Troy and Jenni are no strangers to managing large residential communities. For 14 years, they held management rights to High Park Tower, a 21-storey high rise with 220 apartments, 30 offices and five retail shops, located in the heart of Chatswood, New South Wales. Troy said managing The Pavilions ‘ticked a lot of boxes’, so relocating was one of the easiest decisions they ever had to make. He said the family visited the Sunshine Coast on holidays and quickly realised it would be great to raise a family within the master-planned environ of Peregian Springs, 10 minutes south of Noosa. “Having a quality product to lease or sell, especially with a wow factor like The Pavilions, makes our job easier,” said Troy, who lives on site with Jenni and their three children in an architecturally-designed split-level property. “It has been a whirlwind of an experience purchasing this business, but one of the best decisions we have made - we have been very fortunate to find this complex in this location. “When the market is tough we are in a strong position to continue to lease our properties while others sit idle, as they are highly sought after. “It is a new complex, in a great location, built by a developer that has a good reputation, therefore on-going maintenance will be minimal and the properties will be attractive for prospective purchasers. The complex - home to both tenants and owner-occupiers - was built by Sunland Group over a five-year period in multiple stages. The final stage was completed in mid-2018, just prior to the developer putting the management rights on the market. Ms Lehmann said the management rights for The Pavilions were on the market for about a month and there was interest from multiple potential buyers. “The Pavilions is a unique complex that boasts the Sunland brand, standard and quality,” said Kristine. “Aside from that the location of the complex was ideal, it sits directly in front of the new Peregian Springs Shopping Centre and beside two excellent schools. “In addition to these benefits, the complex residents have access to the resort-style facilities of the Ridges Community Facilities, which include tennis courts, swimming pools, kids pool and play areas and an exceptional gymnasium.